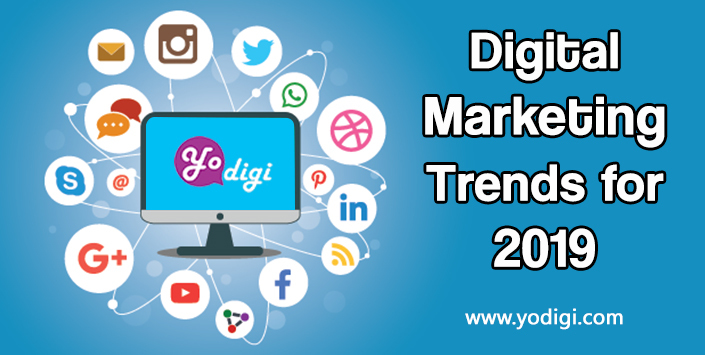 Are you looking for the best digital marketing company in Pune or wondering which digital marketing trends are here to stay? In the previous blogs, we have discussed the value of digital marketing and how to maximize conversions. In this blog, we will focus on digital marketing trends that will dominate in 2019, including voice search, personalization, chatbots, and video marketing. Digital marketing has exploded and it will continue to grow with sustained momentum in 2019. Let’s find out how the best digital marketing company in the business can help you to stay ahead of the trends. Advances in recent times in natural language processing, machine learning, conversation interfaces, automation, and deep learning processes have enabled virtual assistants to become the center of action for intelligent digital marketing. Almost 25 percent of the 3.5 billion Google searches each day are voice searches, with personal assistant devices leading the way. Voice search is very different from mobile or desktop searches. Assistants like Siri will give just a few results and if your business website figures in them, click-through rates will definitely be higher. Thus, tailoring the SEO strategies for voice search is critical. Look for ways you can make search phrases more conversational and less like written terms. Conversational toned content aligns better with voice search. Click estimates that by 2020, 30 percent of net browsing will be carried out without touching the screen. Along with this, 50 percent of searches are set to be conducted through voice commands. Voice search will, therefore, play a critical role in everyday behaviors, allowing users to multitask. Companies are focusing on voice solutions to improve technology seen in trending AI apps like Siri, Bixby and Google Assistant. While most of the users are unaware of the ways voice search can be carried out, the value in smart devices is expected to rise by 2019. It is only a matter of time when a voice search is considered a norm by one and all. Research has revealed 62 percent of marketers are unlikely to implement voice strategies in coming years, as they lack how to prepare for incoming implications. Voice is set to be the next disruptor. Optimizing the website for voice search is important. You need to understand what prospects are looking for. Audio queries are conversational and lengthier. These questions and phrases through the website impact your business’s visibility. Building an FAQ section and answering questions in a conversational way is also important. Chatbots help brands to enhance customer service while keeping a check on the budgets. Chatbots are faster than humans in providing data-linked answers and take on requests. They offer personalized services to customers in need, at any time. Chatbots can be integrated with apps, websites and even social media platforms. This also gathers user information that can be used to effectively tailor marketing strategies. The global chatbot market is breaching USD 1.2 billion with 24 percent annual rate of growth. Research has found 45 percent of end users prefer this to be the primary communication mode in customer service. Within the next five years, close to 80 percent of business communications with customers will be carried out through bot messengers. As the chatbot market is continually rising, it is vital for businesses to see how one can integrate it into their strategy. A simple customer service assistant or way of promoting features and offers added value. There is also use of AI and machine learning within these systems. Chatbots are a specialized form of software that acts in the form of a virtual concierge. It communicates with users and assists them in completing their goals. Chatbots connect with humans in natural ways, through the use of text chat windows though verbal interactions are also possible. Chatbots are used extensively in Facebook for a number of tasks already. Efforts are on to automate basic customer support functions which can be easily handled using sophisticated software. Bots also permit personalized, focused interactions without putting in so many resources. Businesses have to be slower to adopt than expected. By 2022, it is estimated chatbots will help businesses save over USD 8 billion annually. Chatbots will help with consumer service tasks and tie into various systems for answering repetitive queries. Bots can be used to warm up cold leads, schedule sales appointments and help make purchases. One can move towards technologies that make the most sense for goals. Chatbots have improved the ability to hold a basic conversation and answer most-asked questions, much like a live human customer support rep would. Chatbots are cheaper than a customer support person. With continuous improvement in AI, chatbots will grow as well. Towards the close of the year, IBM holds that chatbots will power 85 percent of all customer service. So, businesses are implementing this marketing automation technology in 2019. Conversational interfaces help in the development of chatbots still further. Artificial intelligence and machine learning have driven more efficient data analysis, making it easier for marketers to ensure hyper-personalization for customers, including unique journeys and content personalization. Digital marketing specialists are studying how they can use AI as a means of understanding what content a potential client is consuming. This includes marketing-generated content, technical documents, and support, or user-generated content allowing for personalized experience and higher customer satisfaction. Come 2019, we will see marketers set up predictive lead scoring, deploying trigger-linked campaigns and investing in dynamic content to better serve customers at each user journey phase. As far as personalization is concerned, rather than relying on manual efforts to create different experiences for people, machine-learning algorithms provide a way for unique experiences that are scalable. With machine learning, computers will be programmed to select the experience most likely to appeal to a person. For machine learning, personalization is most effective as marketers build their own recipes that inform the computer about digital marketing inputs to consider while assessing how customers think. A customizable recipe begins with the selection of pre-programmed base algorithms. These can be simple or advanced. Coupled with chatbots, machine learning can accomplish a lot. AI can be essential for scouring databases and providing team insights. AI-powered solutions are tools for bringing together a blend of technologies like predictive analysis, natural language processing, and machine learning. AI-powered solutions can be deployed across the internet marketplace. Tech Republic reports AI to use increases two-fold from 38 percent in 2016 to 61 percent of business implementation. Growth is rapid and it will continue to rise in pace in 2019. AI will change marketing immensely over the years. AI will take personalization to the next level. Marketers use products and services that learn from user feedback. Machine learning is a major trend that has gained a lot of traction. Machine learning is a process of data analysis that ensures an analytical model building is automatic. This AI branch holds that systems can learn from data. Forbes holds that 84 percent of marketing organizations are implementing machine learning and AI. In addition, close to 75 percent of organizations report an increase in customer satisfaction by more than 10 percent by using machine learning. This offers massive opportunities for growth, as AI will power customer segmentation, push notifications, customer segmentation, click tracking and retargeting. As per a study by Blueshift, around 28 percent of marketers use AI for product recommendation and 26 percent use it for campaign optimization. As per the Forrester Global State of AI online survey, 57 percent of businesses use AI to enhance customer experience and support, while 44 percent are using AI to provide to improve upon existing services and products. Businesses can now personalize marketing to reach lead. In online marketing survey by IDC in partnership with Criteo, around 67 percent of marketers hold that AI is delivering personalized headlines and ad copies, while 66 percent hold it delivers personalized ad design formats and initiates personalized and creative. A video is winning the race of successful marketing medium in 2019 and is set to continue. Given that the average attention span of consumers is short, people would rather watch a video rather than reading blog posts. Around 73 percent of US viewers engage with YouTube. This points to the critical role of video marketing in redefining digital marketing. Video marketing offers the best options. The video is paired with digital media to provide effective data on how specific efforts are performed. Whether one creates videos for the website or social media channels, this is an effective digital marketing tool. Capturing and conveying information and brand’s personality with the video is important. While a video is a powerful tool, live streaming or live video remains one of the fastest rising stars in digital marketing. This is due to a massive spike in streaming services, thanks to popular channels which permit users to stream video game play. Live streaming is big for digital marketing. It is among the digital marketing trends that combine with influencer marketing. An influencer live stream is incredible for boosting digital marketing success, as it is spontaneous and interactive. Live video feeds have been a big factor in marketing, as these connect engaged customers with products and services. If one catches customer attention, one needs to find them on social media. Live video feeds continue to explode, but an important factor is originality. Interactive video and imaginative video marketing encourage user engagement to quickly outpace videos for the sake of moving pictures. Brands that use videos will engage and excite users. The importance of video cannot be stated enough, according to HubSpot. Adding a video to an email boosting click-through rate by a massive 200 to 300 percent and putting one on a landing page increasing conversion rates by 80 percent. If prospects can test products before making a commitment, risks can easily be eliminated. Using augmented or virtual reality to release the product ensures there is zero risk on the prospect’s part. Augmented reality places objects in real-life settings. This permits individuals to add an item to an environment and see how it will look when objects are included in it. VR or virtual reality, on the other hand, creates a completely new environment an individual can experience, and besides using it in games, it can be used for marketing too. As per the e-marketer’s research, around 48.1 million US viewers will experience AR once a month in 2018. The figure will rise in 2019 to 54.4 million. Around 36.7 million Americans experienced virtual reality in 2018 and the figure rose to 49.2 million in 2019. Business Innovation Center even predicts VR and AR technology reach market volumes of USD 150 billion by 2020. Corporate groups like IKEA are even using AR apps for shoppers. Other brands which have also used AR are Volkswagen, Starbucks, and Nivea. Omnichannel anticipates consumer preferences during the digital marketing campaign. Omnichannel is multi-channel marketing from the perspective of the consumer. Customers are now more sophisticated and find information through different channels. Multichannel marketing was introduced to permit prospects to communicate with businesses across numerous channels. Prospects can be introduced through social media channels. Email subscribers can communicate through email, while web visitors function via comments and chat. Multichannel marketing is just a step from single-channel marketing, but it does not solve customer problems. Omnichannel marketing, therefore, provides an awesome experience for prospects as it provides seamless, constant communication to prospects and customers across different channels. The aim of Omni-channel marketing is for keeping track of prospect interactions, though one is interacting through different channels. Research by Invesp shows businesses with Omnichannel customer engagement strategies retain 89 percent of their customers compared to a customer retention rate of 33 percent for businesses with weak Omnichannel strategies. Finding new innovation in email marketing techniques is challenging. Most email marketing techniques are related to improving interaction and relevance on the smartphone. Actionable analytics believe in the power of data-driven marketing based on customer research and digital analytics. Systems like Adobe Analytics and Google Analytics offer exceptional functionalities in terms of reports. Dashboard reporting and analysis systems are another innovation associated with analytics and granular visualization. Though influencer marketing is not a new topic, the focus is on local influencers now. Unless one runs a massive global brand or e-commerce business, chances are marketing is mostly local. Influencers and celebs can endorse products or services to social fans. But local influencers can put together promotions and long-term campaigns. Programmatic ads will continue to evolve in 2019. It is the process through which automation technology is used to purchase and sell online media. This will encompass videos, online ads, digital out of home voice, streaming and TV modules and advancements are progressing rapidly. Using programmatic ads, companies use data-driven technologies to make real-time decisions regarding ads. The focus is to reach a different audience beyond continuous campaigns. Digital marketing trends are changing the way individual marketers perceive the evolving marketing landscape. Whether it is AI or AR, VR or voice search, each of these digital marketing trends plays a vital role in powering the brand. 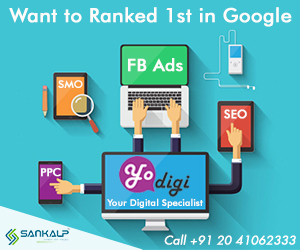 Digital marketing is undergoing a massive change, and if you want to stay ahead of the trends and your competitors, it is essential to hire the best digital marketing company in Pune, Sankalp for their cogent and comprehensive solution, YoDigi. A unique solution for digital marketing, YoDigi is the perfect option. 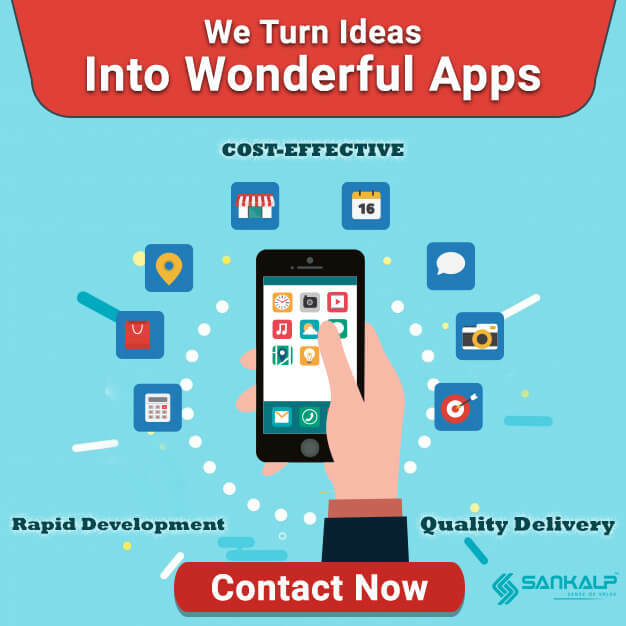 Choose Sankalp and give your business a competitive advantage. Visit YoDigi on Google Plus, Twitter and Facebook. You can also visit our official site to learn more.